We are offering the best quality of Heat Shrink Tunnel Machine to our customers. We provide a precession engineered range of Nano Tunnel Machine that is catering to the application requirements of various industries. These are available in various tunnel opening sizes and power supplies as per clients’ requirements. Ally Packaging Systems Pvt. Ltd.
- Semi-automatic packing machines for weighing and sealing wide range of products from tea, sugar, pulses, provisions to chemicals and industrial supplies. - Mechanical/Electronic weighing options available. - Useful for packing in premade pouches suitable for Departmental stores, small units etc. 2.The use of intra-red quaztz heater tube results in lower the power consumption. 3.Great air-flow provides excellent heat distribution for an even shrink. 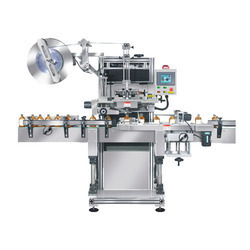 5.Automation for convenient operation Automatic Control: The system features automatic temperature variation for convenient operation.